OSROs Contract In Uruguay - CHADWICK WEIR NAVEGACION S.A. The obligation to contract OSROs for vessels and off-shore oil rigs is given by the law 19.012, art. 6º, referred in our Circular Nov/12/12. The law entered into force on November 23, 2012, and now the Coast Guard has issued a by-law, indicating the type of vessels which will need to hire an OSRO, technical and safety measures for bunkering operations and the suggested draft of the contract between OSROs and vessel’s Owners. This by-law is entitled “Disposición Marítima Nº 149”, which was up-dated by “Disposición Marítima Nº 157”. 1) All type of tankers, fishing vessels or any ships carrying, operating or transshipping oil, noxious or hazardous substances; vessels engaged in ships’ refloating operations. 2) Those above vessels anchoring at Uruguayan waters for more than 24 hours, awaiting entry to Uruguayan ports or Terminals. 3) All ships considered by Authorities with deficient conditions which could mean her sinking or grounding. 4) Supply vessels to PSVs; either fixed or mobile off shore installations; engaged in exploration or exploitation of resources in the territorial sea, contiguous zone, exclusive economic zone and/or continental shelf. 1) Certificate of Entry issued by a P&I Club belonging to the International Group, or even by a non-IG P&I insurer if considered acceptable by the Coast Guard in accordance with local regulations and requirements. 2) CLC Certificate for those vessels carrying more than 2000 tons of oil as cargo. 3) OSRO Certificate issued by a local company duly licensed by the Coast Guard. a) will not need to contract an OSRO. 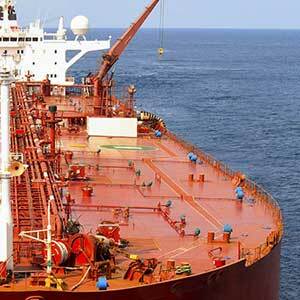 The Rule 37, Chapter IV of MARPOL will be applied in the case of oil spillage. b) if remaining anchored for more than 24 hours in Uruguayan waters, will need to appoint an Agent. 2) Ships carrying LNG will need to comply specific requirements to be demanded by the Coast Guard in due course. This by-law “Disposición Marítima Nº 149” as up-dated by “Disposición Marítima Nº 157” will enter into force on May 15th, 2015. There are two local OSROs licensed by the Coast Guard, currently. Respective certificates have been reviewed by the Vessel Response Plan Working Group of the International Group of P&I Clubs, which has made some suggestions on wording. Members are suggested to check with Club’s local correspondent on the validity of the approved OSROs’ certificates.